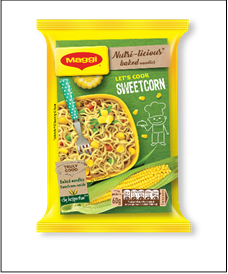 Nestlé India is delighted to introduce India’s first baked noodles - MAGGI Nutri-licious baked noodles using its global food expertise and deep understanding of local taste preferences, that offers a wholesome proposition. This is in continuation with its ongoing direction of “Kuch Acha Pakk Raha Hai”. MAGGI Nutri-licious Baked Noodles are available across leading supermarkets and mom-and-pop stores in Bangalore, Chennai, Hyderabad and Kochi.